I’ve been reading the Graphic Canon series edited by Russ Kick. 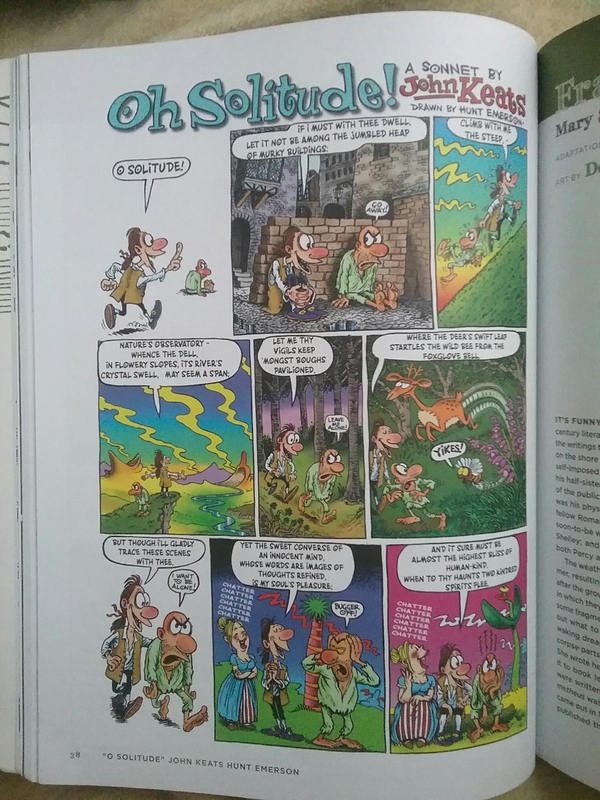 It is an awesome compilation of excerpts of graphic adaptations of classic literature. I enjoy it very much. I’ve worked my way from the Epic of Gilgamesh to the Popol Vuh (Maya creation story), Greek plays, Shakespeare, Milton… and this rainy, blustery, cold evening I find myself at Keats. It’s like he visited Monhegan himself. Couldn’t have summed it up better. Thanks to Hunt Emerson for this lovely interpretation. This is incredible. I have the most talented friends. Lately I’ve been riding my own glow into subspace. 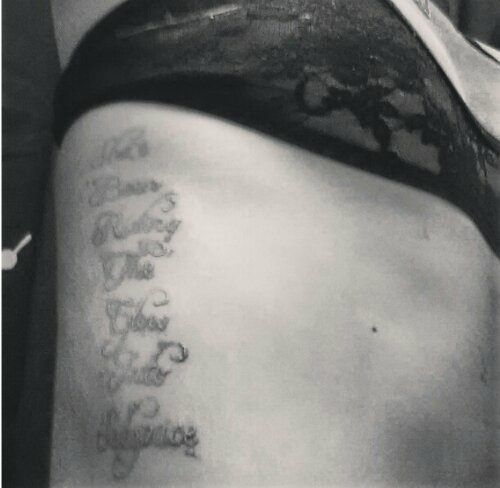 Sometimes I forget, but I have an awesome reminder on my ribcage, thanks to last November. Top five books of the last 365 days in no particular order.